In what has not been a widely publicised change in policy, the UK Government has announced that EU citizens entering the UK post 29 March 2019 will automatically be eligible to apply for settled status once they have remained in the UK for five years. Previously, it was stated that this would only apply to EU citizens who entered the UK before the UK left the EU. This is a huge shift in the UK's stance on the rights of EU citizens to remain in the UK post-Brexit. This means that EU citizens who enter the UK during any transition period agreed with the EU will not be required to obtain immigration status under the new immigration system which will come into effect at the end of the transition period. Instead they will simply be able to apply for a temporary residence permit which will effectively give them the right to reside in the UK under the same terms as if they still benefitted from EU free movement rights until they have completed the five year qualifying period for settled status (which will be a form of permanent residence). With the UK Government continually delaying its announcement as to what the UK Immigration Rules which will apply to EU citizens entering the UK post Brexit will look like (the announcement is now likely to be in the Autumn), this change in policy was almost inevitable. 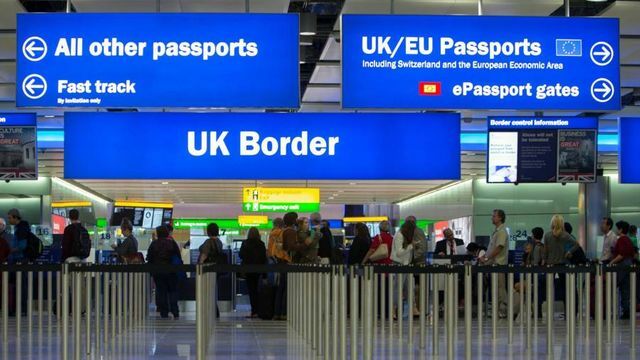 It is borne out of a recognition that EU citizens looking to enter the UK after 29 March 2019 (which is now only a year away) need to know what rules will apply to them in the future before they make a final decision as to whether to enter the UK. This must also be seen as a boon to employers as the certainty that this gives to EU citizens entering the UK post-Brexit will make it easier for them to recruit and retain EU citizen employees. This is certainly good news as it will improve the UK's ability to retain and attract the EU workers it needs to continue to grow the economy post-Brexit. However, it also demonstrates, again, that, although we thought the issue of EU citizens' rights after the UK leaves the EU had been agreed between the UK and EU before Christmas, this is clearly not the case and there is a lot that could still change. The only thing that is becoming clearer as the negotiations progress is that the UK Government is only looking to make it easier for EU citizens to enter and remain in the UK post-Brexit. Overall, as one of my colleagues recently commented to me, it appears to be the case with these negotiations that nothing will be agreed until everything is agreed. It therefore looks like we are unlikely to get any certainty on this and any of the other issues currently under discussion until the ink is finally dry on the withdrawal agreement. The UK is now conceding that EU migrants who come to Britain during the Brexit transition will have the right to settle permanently in the UK.